Questions about Veranthea Codex? I answer many of them here and you might find what you seek in this chat log! [19:02] <+Mike_Myler> I’m Mike Myler, full-time freelance game designer for various companies (from bigguns like Fantasy Flight and Paizo to smaller outfits) — you’ll find my stuff in many different places. What today’s Q&A is about is the VERANTHEA CODEX, my house campaign setting and almost 400 pages of the best Pathfinder material around. 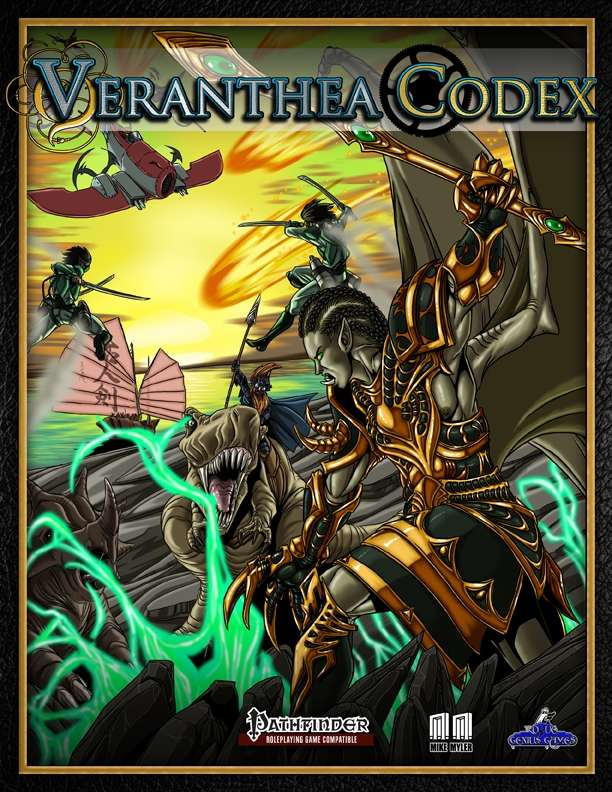 Previous YOU can now own a copy of the VERANTHEA CODEX!! !